My first race at night and probably the best place to do it. Las Vegas when lit up was colorful and very bright and helped light up the way while running along the Strip. 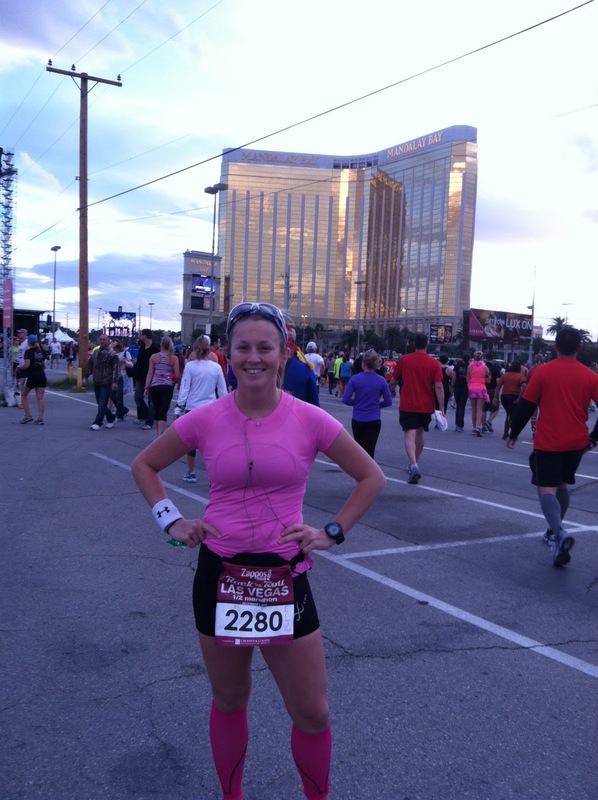 The race was very cool and filled with lots of spectators and the half marathon course tried not to stray from off of the strip while the full diverted to north las vegas. 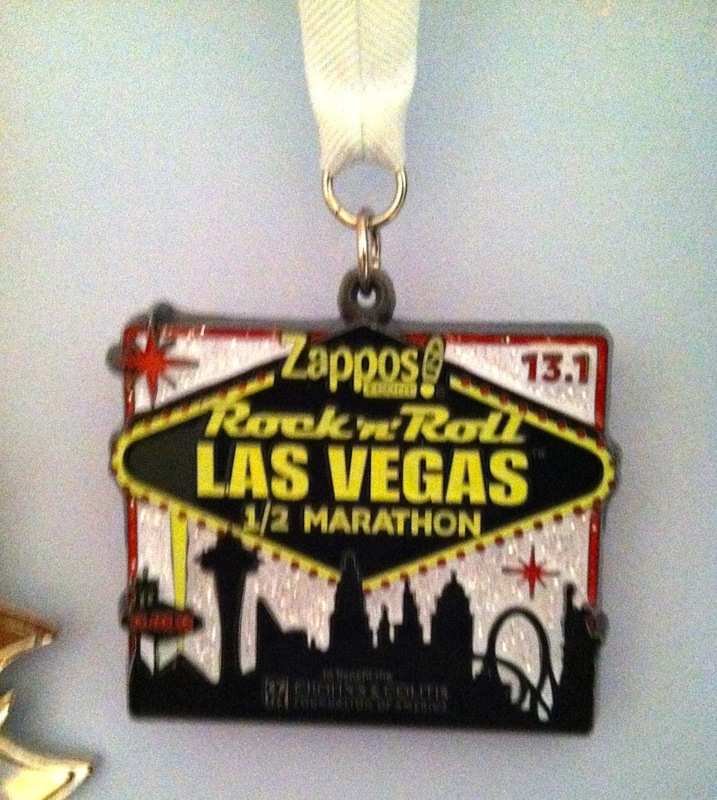 Overall a great experience, pretty solid temperatures and the awesome course even though it was more like 13.25 miles. The expo was like any other typical expo. 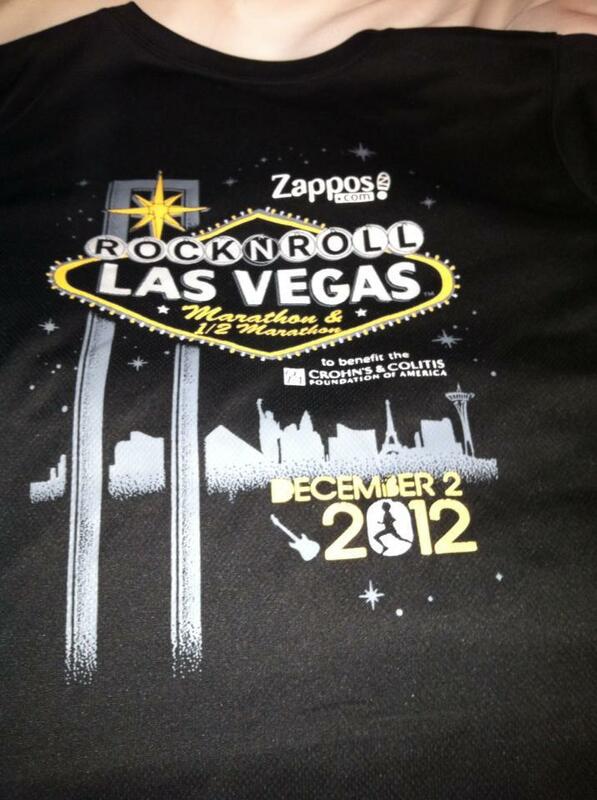 Garmin, Brooks, Newton, KSWISS, they had many different booths that I have seen before plus many new ones. As a rock n roll race, you knew the expo would be huge plus very dense. I kind of was over the expo’s as I had been very many this past year so I didn’t stay long but as far as what I could tell… very nice. Las Vegas, which as of race day was changed to the windy city (with winds of 20-30 mph and gusts up to 40). This made running at times great and other times horrendous. There were more than 30,000 people running in this race and about 29 waves for the half marathon alone. no clue what the marathon was. We stayed at Caesars Palace thanks in part to a free hotel stay courtesy of Ellen DeGeneres and her 12 days of giveaways. Caesars was only about a mile or so away from the start of the race and we head out around 3:00 when the marathoners started running. 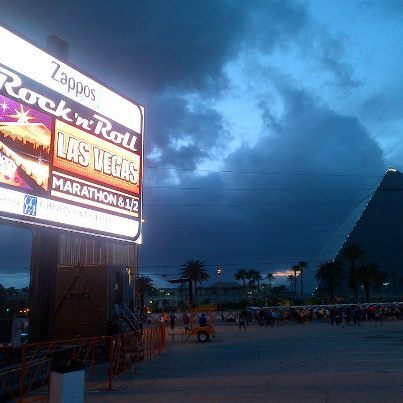 it was very cool because we got to watch the marathoners heading down the strip while we made our way to the start. 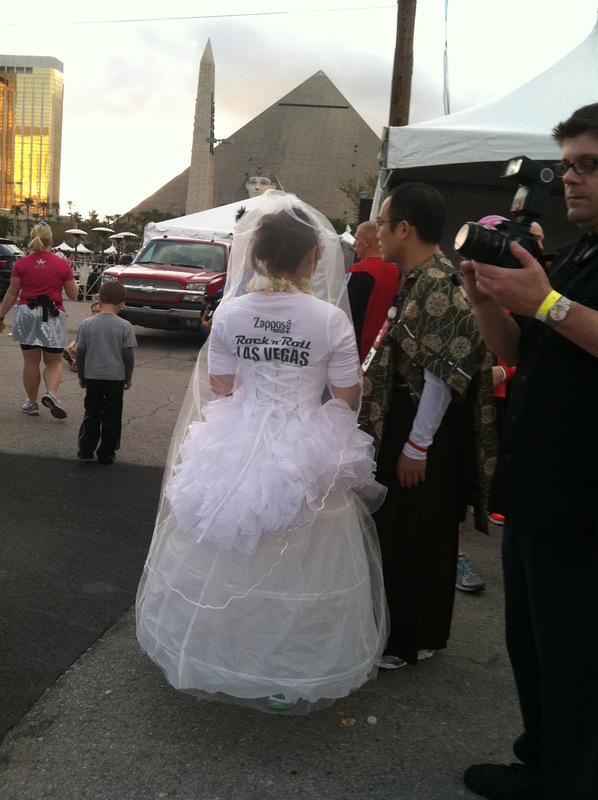 Once we got to the main waiting area we saw people all decked out vegas style. Some Elvis’s, people in wedding parties and brides. It was a very interesting scene. The half marathon started at 4:30 PM straight into the wind. Thankfully there was a turnaround right around mile 1 and that put us with the wind until about mile 7. But in between those mile markers we got hit with big gusts from behind and crosswinds. Then we made the turn right back into the wind and at the point where it really started to pick up… how do I know this… well i was doing a 7:30/8 minute mile which then slowed down to 9:30/10. The rest of the course was filled with bands (rock n roll style), Gatorade and water all along the strip and they didn’t run out like in the previous year. The finish line was very long and spread out from the mirage to Caesars which was awesome because the hotel was right there. I really enjoyed the Jamba juice provided but bummed there were no bananas, only apples.The medal was also kind of a letdown, even though it is glow in the dark. Overall a very cool race, didn’t do as well but didn’t expect to as I was sick during the week and didn’t run much during November. Ehh Not a fan… the length ( it was more than 13.1) the food post race, the wind! (but that couldn’t be stopped.